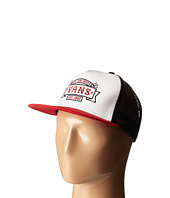 The Trucker Hat Quiksilver is the best and looks greatly style, just launch newly in today trend. 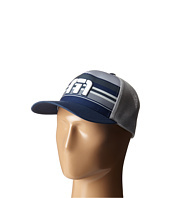 Your search for The Trucker Hat Quiksilver end here. 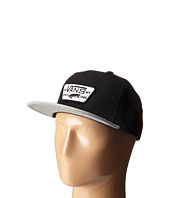 Don't waste your time to shop The Trucker Hat Quiksilver for now at online stores. (49% off MSRP $88.00) This debonaire Italian leather belt is from none other than Tommy Bahama®. Made of Italian leather. Contrast stitching. Adjustable metal buckle. Leather keeper. Imported. Measurements: Width: 1 1⁄4 in First Hole Length: 42 in Last Hole Length: 46 in Weight: 6.2 oz Product measurements were taken using size 44. Please note that measurements may vary by size. 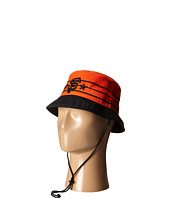 (50% off MSRP $29.99) Bring throwback style to the stadium with the fresh look of the New Era® Wraparound San Francisco Giants bucket hat! 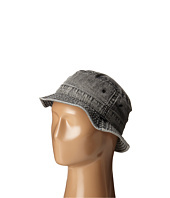 Polyester bucket hat. 3-D embroidered team logo between two stars. Team color crown with alternate team color brim. Wrap around bands for retro detailing. Moisture wicking technology. UV protection. Removable draw cord. Imported. Measurements: Circumference: 22 in Brim: 2 in Product measurements were taken using size SM/MD. Please note that measurements may vary by size. (25% off MSRP $80.00) Reach new heights with the Outdoor Research® Alibi Li Gloves. Perfect for sport-ice routes and dry tooling. Pre-curved construction mimics the hand's natural resting position. Movement-enhancing, stretch-mesh fabrication. Thermo-formed, neoprene, articulating wrist harness. Soft-shell finger sidewalls provide added stretch and dexterity. Corded nylon at back of hand for added durability. 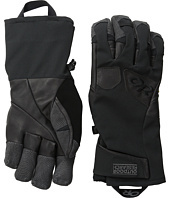 Pittards® Oiltac Leather Palm for enhanced grip in wet or dry conditions. Protective gel padding on outside edge of the hand. Carabiner loop on back of hand. Material: Shell: 92% polyester, 8% spandex Palm: Pittards® Oiltac goat leather palm and fingers Imported. 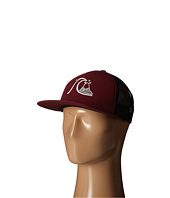 (58% off MSRP $26.00) Embrace the easy life with the chill vibes of the Quiksilver® Buckler hat! Cotton bucket hat in a stylish shirting fabric. Logo label adorns side. Eyelets for breathable wear. 100% cotton. Imported. Measurements: Circumference: 20 in Brim: 2 in Product measurements were taken using size S/M. Please note that measurements may vary by size. 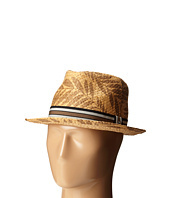 (59% off MSRP $49.00) Give your look a touch of paradise with this fedora hat from Original Penguin®! 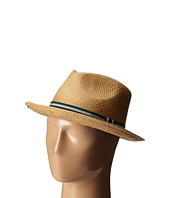 Straw fedora with pinched, tear drop crown. Palm leaf pattern. 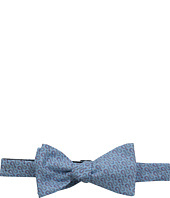 Striped grosgrain hatband with signature pin. Short, upturned brim. Interior sweatband for added comfort. 100% paper. Spot clean only. Imported. Measurements: Circumference: 22 in Brim: 2 1⁄4 in Product measurements were taken using size SM/MD. Please note that measurements may vary by size. 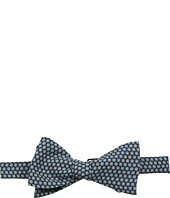 (49% off MSRP $49.00) Stir up some major style points in this fedora hat from Original Penguin®! Straw fedora with pinched, tear drop crown. Striped grosgrain hatband with signature pin. Short, upturned brim. Interior sweatband for added comfort. 100% paper. Spot clean only. Imported. Measurements: Circumference: 24 in Brim: 2 in Product measurements were taken using size LG/XL. Please note that measurements may vary by size. 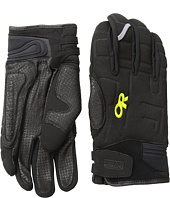 (13% off MSRP $75.00) Outdoor Research® keeps performance in reach with the Extravert Gloves. Waterproof, wind-resistant construction. Lightweight and breathable gloves with moisture-wicking properties. Pre-curved construction mimics the hand's natural resting position. Anatomically-contoured finger seaming. Internal gusset provides additional water protection. Stretch-twill laminated shell. Leather palm is soft and abrasion resistant. Nose wipe at thumb. Carabiner loop for extra gear attachment. Adjustable, hook-and-loop closure. Pull loop for easy on and off. Clip at wrist keeps gloves together when not in use. Wool-blend lining. 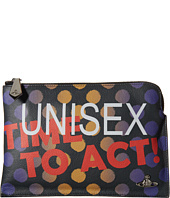 Material: Shell: 90% nylon, 10% spandex Palm: 100% leather Lining: 40% wool, 35% acrylic, 25% polyester Spot clean. Imported. 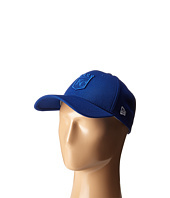 (46% off MSRP $27.99) Swing for the fences with the breathable and stylish New Era® Logo Twist Kansas City Royals hat! 39THIRTY® hat in a flexible fit. Six-panel construction. Embroidered team logo adorns front and side. Logo hit at back. 100% polyester. Imported. Measurements: Circumference: 22 in Brim: 3 in Product measurements were taken using size SM/MD. Please note that measurements may vary by size. (36% off MSRP $27.99) Swing for the fences with the breathable and stylish New Era® Logo Twist St. Louis Cardinals hat! 39THIRTY® hat in a flexible fit. Six-panel construction. Embroidered team logo adorns front and side. Logo hit at back. 100% polyester. Imported. Measurements: Circumference: 21 in Brim: 3 in Product measurements were taken using size SM/MD. Please note that measurements may vary by size. (24% off MSRP $75.00) The Trafalgar™ Brenner belt has a ruggedly handsome quality that will finish your look brilliantly! Made of Italian nubuck leather. Tonal edge stitching. 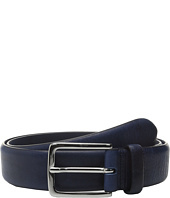 Slightly rounded belt tip. Satin nickel finish buckle. Single leather keeper. Made in Italy. Measurements: Width: 1 1⁄2 in First Hole Length: 43 1⁄2 in Last Hole Length: 47 1⁄2 in Weight: 6.2 oz Product measurements were taken using size 38. Please note that measurements may vary by size. 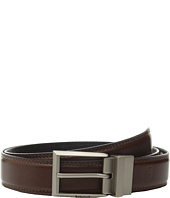 (23% off MSRP $65.00) Finish any look handsomely with the Trafalgar™ Angelo belt. Made of full-grain. Burnished feathered edges. Slightly tapered belt tip. Polished nickel finish buckle. Single leather keeper. Made in Italy. Measurements: Width: 1 1⁄4 in First Hole Length: 43 in Last Hole Length: 47 in Weight: 6 oz Product measurements were taken using size 44. Please note that measurements may vary by size. 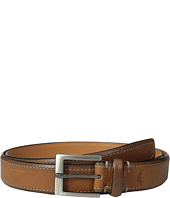 (38% off MSRP $65.00) Finish any look handsomely with the Trafalgar™ Angelo belt. Made of full-grain. Burnished feathered edges. Slightly tapered belt tip. Polished nickel finish buckle. Single leather keeper. Made in Italy. Measurements: Width: 1 1⁄4 in First Hole Length: 43 in Last Hole Length: 47 in Weight: 6 oz Product measurements were taken using size 44. Please note that measurements may vary by size. 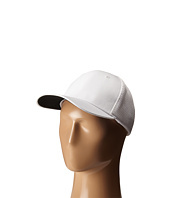 (30% off MSRP $29.95) TravisMathew Golf Size Chart Keep the sun out of your eyes the next time you tee up with the TravisMathew™ Cylinder Hat. Classic six-panel construction. FlexFit® headband offers a secure fit and all-day comfort. Horizontal stripe pattern with 3D TM logo at front. Mesh backing provides increased ventilation and breathability. Pre-curved bill. 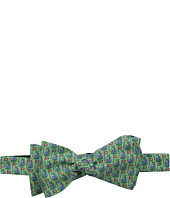 63% polyester, 34% cotton, 3% polyurethane. Spot clean. Imported. Measurements: Circumference: 22 in Brim: 2 3⁄4 in Product measurements were taken using size SM/MD. Please note that measurements may vary by size. (31% off MSRP $52.00) Black on one side and brown on the other, the Timberland® Feather Edge Reversible Belt has all your bases covered. 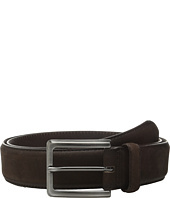 Genuine leather reversible belt can be dressed up or down. Classy silver-tone rectangular buckle. Stitching details. Imported. Measurements: Width: 1 1⁄4 in First Hole Length: 30 in Last Hole Length: 34 in Weight: 5 oz Product measurements were taken using size 32. Please note that measurements may vary by size.